Mobile working provides freedom and simplicity. New technologies allow ease of access to information and work regardless of location. The principle of mobile working is therefore simple: it means giving people the tools to let them work anywhere, at any time, freeing employees from the constraints of their desk. This approach offers many benefits and compliments a modern, forward-looking, entrepreneurial, growing organisation like Lucid. The agile working model enables staff to request the option to work from a location (or variety of locations) most suited to their personal needs. In addition to the main Lucid offices in Buckinghamshire and Chiswick, Lucid has opened new offices in Macclesfield and central London. These hubs have proven to be a great success already. The new policy means employees can request ad hoc, regular, or permanent mobile working arrangements, or a blend of these. New hot-desking has also been introduced as part of this development across all locations. 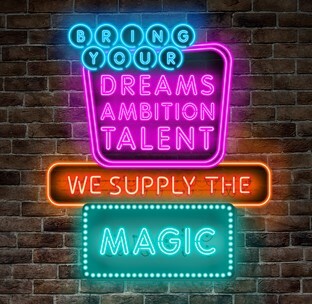 This new way of working reflects Lucid’s culture and commitment to a #LucidLife that is tailored to the needs of an individual; this culture always keeps the organisation a step (or two) ahead of their competitors, allowing them the necessary time and space to create magical programmes that transform lives.